It has been quite a week here at Dynasty Brush! We are so excited to finally unveil our new and improved website! Distributor Map--to discover where you can find our brushes near you! And that's not all! You can also now find us on Instagram! Be sure to follow us and if you are using our brushes, be sure to use the #dynastybrush hashtag when posting photos of artwork you made with the help of Dynasty Brush! Of course, you can still follow us on Facebook, Twitter and YouTube ! And you can use the #dynastybrush hashtag on those sites too. For more brush information, check out the NEW Dynasty Brush website. You may remember from my introduction last month that I told you a little bit about my career as a Scenic Artist for theatre. Scenic painters use many different kinds of tools to achieve the paint treatments desired by the Scenic Designer. 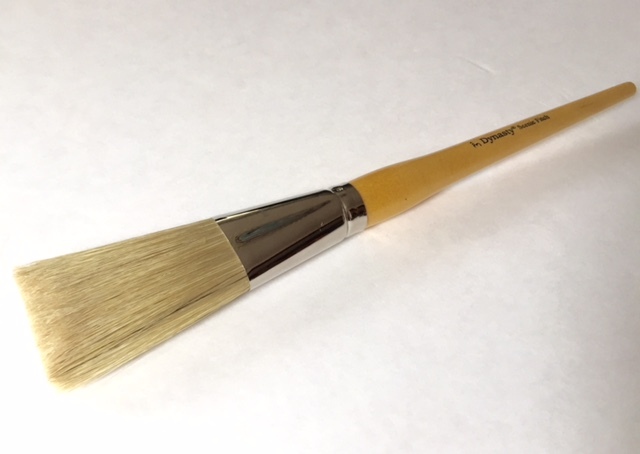 One of the most traditional tools of the Scenic Artist trade is brush known as the Scenic Fitch. The Dynasty Scenic Fitch is designed especially for very large scale canvas work and for theatrical scenic painting. Tailored to the needs of the working professional artist, our Scenic Fitch is made with strong triple boiled white bristles secured into an oval ferrule that is attached to an extra long white birch handle. The extra long handle makes it easy to insert the brush into an extension (often a bamboo pole) for ease of use standing up while working on big backdrops or large scenic units laying on the floor. Fitches can hold a lot of color and offer flexible control. The Dynasty Scenic Fitch can be used with scenic paints (vinyl acrylic, casein), acrylics, and oils. 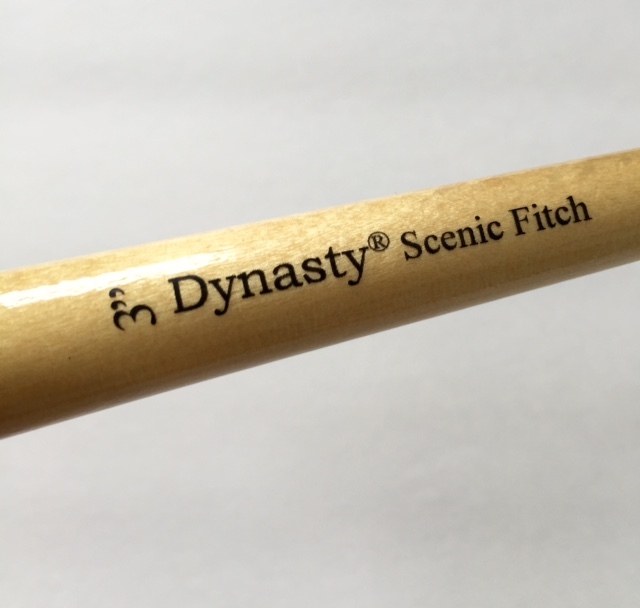 Would you like to add Dynasty Scenic Fitches to your paintbrush collection? You can find them here. For more information on the varieties of quality paintbrushes in Dynasty's collection, please visit the Dynasty Brush website.